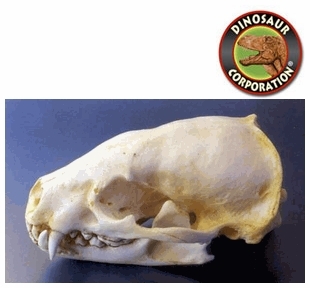 American Badger skull is cast from original specimen. American Badger Taxidea taxus is a North American Badger, somewhat similar in appearance to the European Badger. They are found throughout in the Western and Central United States, Northern Mexico and Central Canada. Southwestern British Columbia.